Submitted by Minerva Nieves (not verified) on February 22, 2018 - 7:30pm. It is distressing that just because your in a psychatric hospital or in a general hospital that they cannot treat a whole patient. I am certain that if you have MD or RN after your name you should be able to assess a whole patient. Your speciality is where your expertise is supposed to be. People are treated like parts and one MD does not communicate with the other. Where children are concerned this is especially urgent because children are not always able to articulate what his wrong. The powers of observation and communication are imperative. Parents should not be placed in a position where they have to travel for miles to get the care they need. The health care system gets more overwhelmed , understaffed and underfunded. This was a case of total negligence and non communication and a lovely innocent child and her family are paying the consequences. Submitted by Kathleen Harper (not verified) on November 17, 2017 - 11:39pm. There is a shortage of phychiatric beds throughout the country. Funding is low. So sorry for your loss. This is so sad. Submitted by Dawn espinal (not verified) on November 17, 2017 - 5:56pm. I signed this petition because I stand behind Deb 100%. As a parent with a child that has mental illness we need an inpatient facility that is local. My love and prayers go to Deb and the family. Submitted by Dawn espinal (not verified) on November 17, 2017 - 5:55pm. Submitted by Evan Bartlett (not verified) on November 17, 2017 - 1:04pm. This is ridiculous!! We have to help our kids!!! Submitted by Erica Segar Donadio (not verified) on November 17, 2017 - 10:21am. Submitted by Betty Block (not verified) on November 15, 2017 - 11:08pm. Children need to be watched & treated as children . Having an area at Upstate is essential. Submitted by Alisa (not verified) on November 15, 2017 - 10:51pm. Please support this petition. This is extremely important to our community. 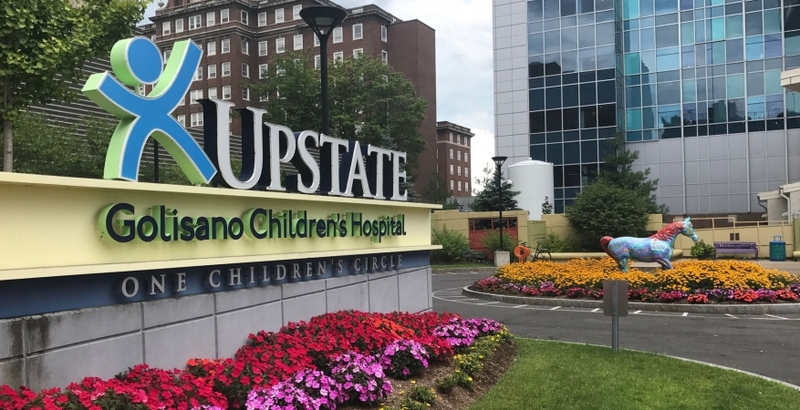 With the recent closing of two facilities in Syracuse ( Onondaga County Department of Children and Family Services Day Treatment Facility and The Outpatient Clinic) the need for more hospital beds for minors is necessary. Submitted by Jennifer Rienhardt (not verified) on November 15, 2017 - 10:28pm. There is such a need for pediatric mental health services in the Syracuse area. This never should have happened to Amaya or any child. I fully support this petition. Submitted by Jodi Stethers (not verified) on November 15, 2017 - 9:33pm. Submitted by Jodi Stethers (not verified) on November 15, 2017 - 9:32pm. Submitted by Debi Hobbs (not verified) on October 3, 2017 - 11:02am. Thank you Sheila. The goal is to prevent similar losses! Submitted by Joseph Stethers (not verified) on October 2, 2017 - 4:17pm. I sign this petition in support of Amaya. Our children are our future and we should support and love them with all the resources we can. The loss my niece Debi Sue suffered was senseless and avoidable. Submitted by Sheila (not verified) on September 22, 2017 - 2:08am. Submitted by Debi Hobbs (not verified) on September 21, 2017 - 4:29pm. Submitted by Barbara Venesky (not verified) on September 18, 2017 - 11:50am. Submitted by Lisa Selim (not verified) on September 17, 2017 - 12:16am. I stand behind this petition and sign it on behalf of Amaya and ALL children and youth whom are deserving of the best care possible. Submitted by Spring Jackson (not verified) on September 16, 2017 - 10:55am. Submitted by Bailey lashomb (not verified) on September 16, 2017 - 1:30am. Submitted by Rodney Byke (not verified) on September 15, 2017 - 4:47pm. I love Amaya she would light up any room and she had the biggest heart. I love her mother Debi Who has done everything in her power to Bring Amaya some justice for what happened. Submitted by David Rushing (not verified) on September 15, 2017 - 3:42pm. I love Amaya. She was a bright light in this dark world. I pray that this petition succeeds. Please help other children and families from going through what Amaya and her family has gone through. Submitted by Carol L McGuire (not verified) on September 15, 2017 - 3:33pm. I support this cause FULLY! We need to address this head-on and prevent another tragedy such as losing another child. Submitted by Aisha Jagoo (not verified) on September 15, 2017 - 3:22pm. Submitted by There's Hamilton (not verified) on September 15, 2017 - 2:26pm. I sign this petition in the for Amaya Stethers and all children that come after her that need help and need it NOW! Submitted by mariela barrientos (not verified) on September 15, 2017 - 1:28pm. Submitted by Debi Hobbs (not verified) on September 15, 2017 - 12:44pm. Submitted by Crystal crespo (not verified) on September 15, 2017 - 11:50am. I sign this petition for Amaya stethers & all of those children who are in need. I would have wanted it for my 2 little boy's. Anything that would help .